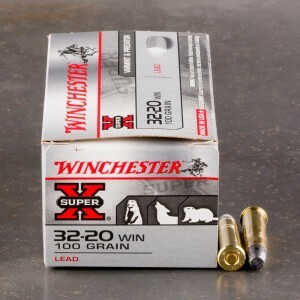 32-20 Winchester ammunition also known as the 32 WCF (Winchester Center fire). It’s a relatively small cartridge designed for lever action rifles. The 32-30 WCF was Winchester’s first small game cartridge and was first chambered in their own lever action rifles. Over time, the round found it’s way into Colt revolvers as well. 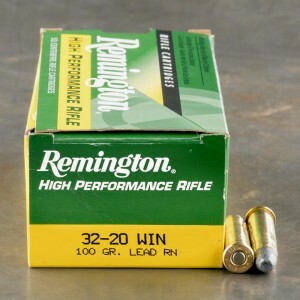 Compared to other calibers, the 32-20 is a mild round that can be considered anemic in terms of larger lever action rounds, but is perfectly suited for small game. The 32-30 WCF is perfect for hunting rabbit, coyotes, and even varmints like prairie dogs. 32-20 ammo is capable of projecting a 85 grain bullet at just over 1,000 feet per second. While the performance seems lacking, this does result minimal recoil and muzzle flash, allowing the rifle to be lighter and easier to handle. Fast delivery. Great ammo. Will buy from you again. Great ammo-shoots well with no problems. Will buy again! 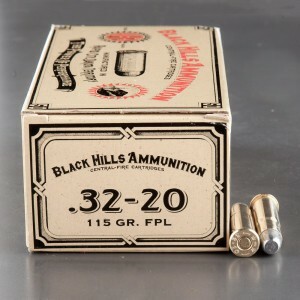 Very good product I will buy from ammo to go again.